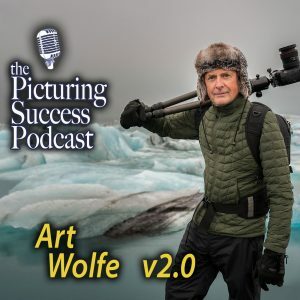 Art Wolfe is at the top of his game – as a wildlife, travel, people and nature photographer . . . and writer. We are honored to have Art back for a second time on our show. Art shares his insights on being a working pro – and working on seven books at one time.